As a certified Yoga Therapist and licensed Physical Therapist Assistant, Laura's gift and passion is integrating the east and west modalities of healing to suit each individuals needs. Private Yoga Therapy sessions with Laura incorporate a variety of tools which can help support and deepen your healing process and help you achieve your highest potential. Meet with her privately to customize a home practice to help you meet your multidimensional needs and desires. Connect with your inner and expressive voice using Yoga, chanting, journaling and singing! 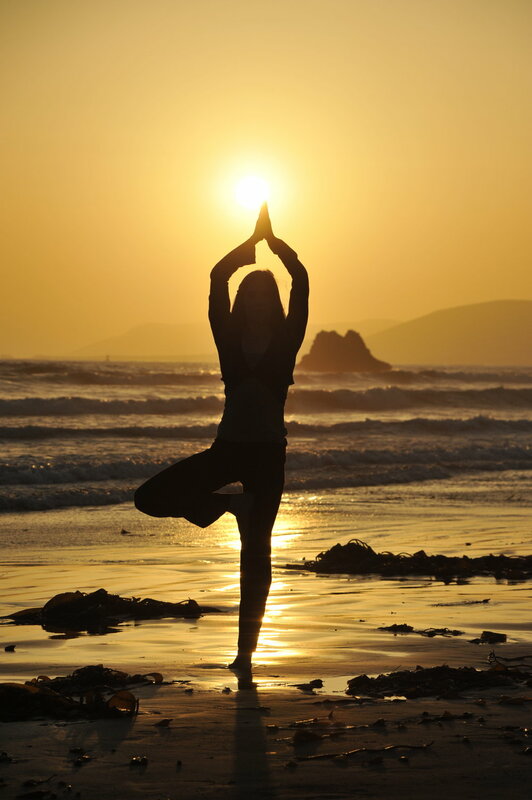 Laura holds regular Therapeutic Yoga classes and Breathwork classes with an inward focus of being. These classes lead students into a deeper listening, connecting with their own body wisdom and healing. Classes integrate physical and mental stability (sthiram) and ease (sukham), and are held in a series or workshop style and include CORE & Restore Yoga, Chakra YOGA FOR BACK CARE, Breathwork for Healing & Vitality, Restorative Yoga & Meditation. Join one of her many popular classes! See more student testimonials here.